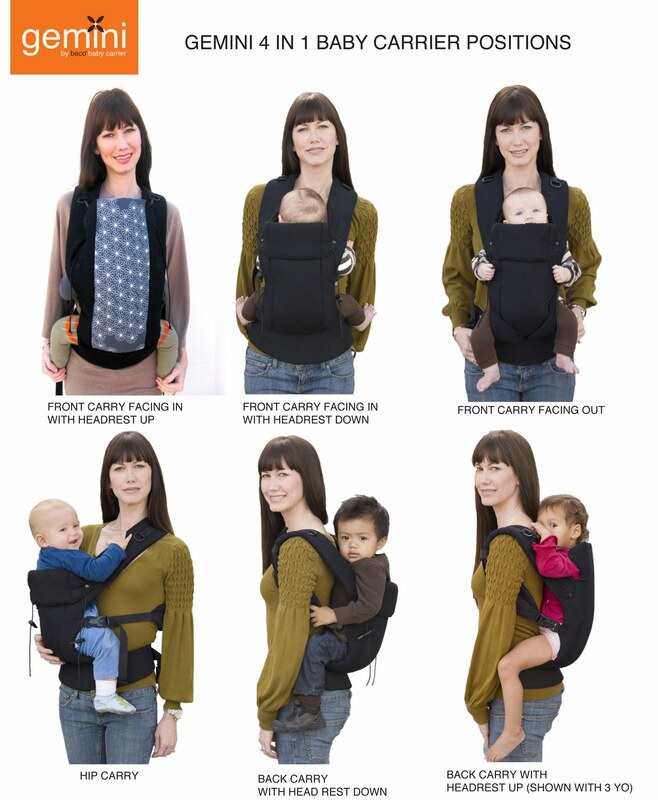 We are so excited for the release of Beco Baby Carrier's newest release- the Gemini! The Gemini is unique because not only can it be used on the back, hip and front facing in, but the base can also be narrowed so that the baby can also face out.Now I know there is alot of controversy on facing the baby out while it is seemingly dangling by the crotch, however I think what Beco is trying to do is get the customers who would only buy facing out carriers like the Bjorn or Snuggli and showing them the beauty of others ways of carrying their baby-forward facing in, on the back etc. 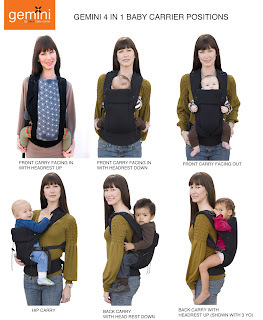 I think once parents realize how comfortable those carries can be, they may decide to wear their baby like that and Beco will have created a new, safe babywearer. Anyway, back to discussing the actual carrier-it is gorgeous! Streamlined, soft, and great prints! The padded straps and waist make it uber comfortable and it can be used for babies from 7-35 lb. There is no infant harness inside however it still can be used with a small infant by folding it down. There is a headrest that can be folded down or kept up for naps and taller children. The straps can be crossed in the back making front carries super comfy!